The steel and resolve behind the Star of David is the rifleman, and this is the rifleman's geniune kit! These outstanding canvas webbing bits took direct inspiration from the utilitarian British Pattern 37 webbing in terms of their design, but with a flare of Israeli quality. They were utilized well into the late 1980s, through the hard fighting of the Six Day War in 1967, and Yom Kippur War in 1973. With kit like this, it's no surprise that the Israelis came out on top. Despite being constructed from canvas, this rig is remarkably light and comfortable in contrast to it's stiff British predecessor. 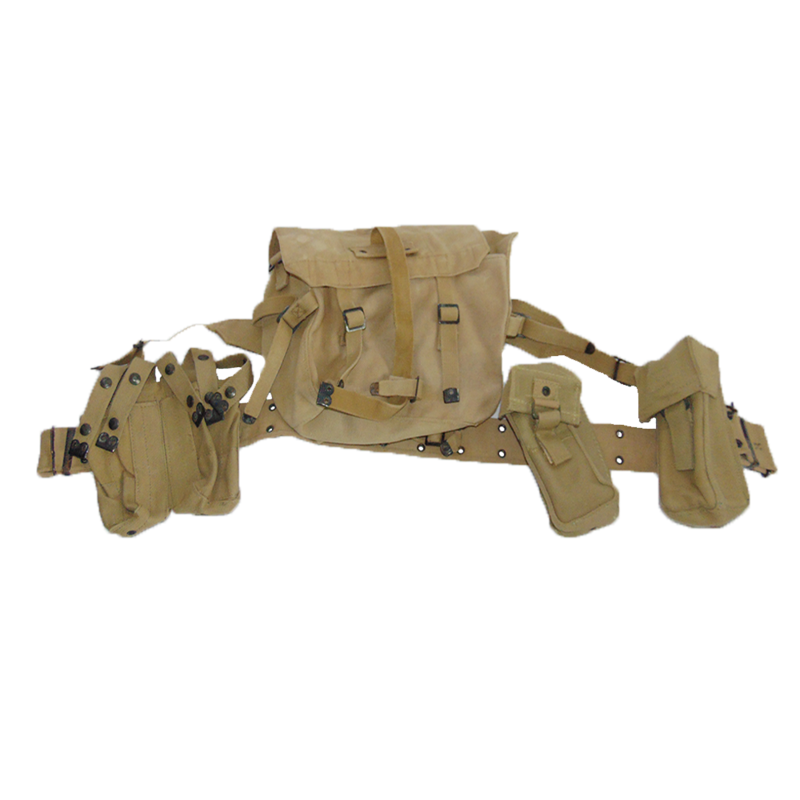 It features 2 large grenade pouches, 5 machine pistol/submachine gun pouches, a comfortable soft canvas yoke with attachable small pack, all mounted on a fully adjustable Israeli pistol belt. 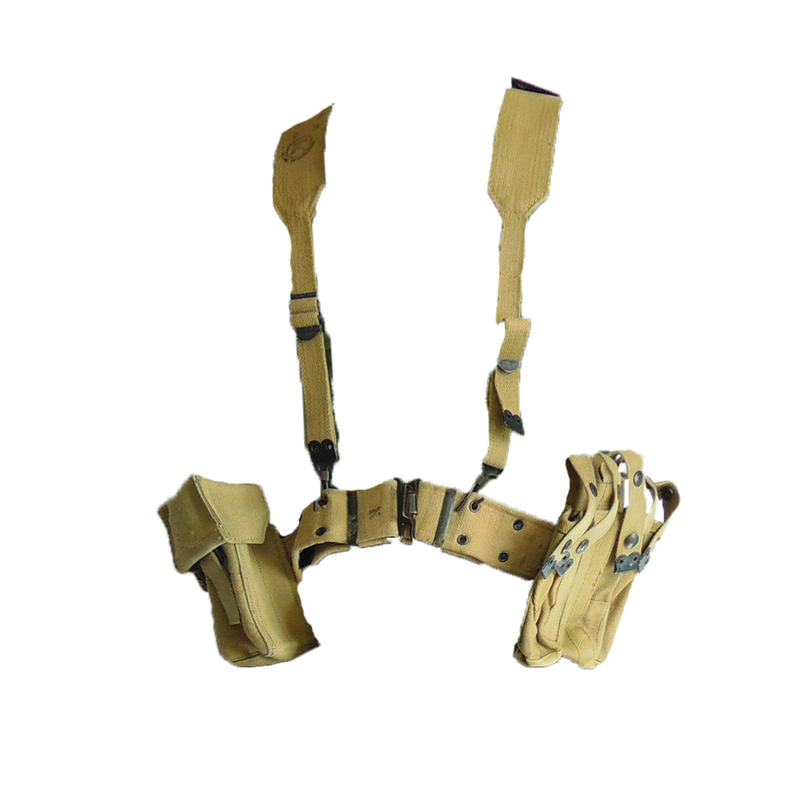 This was webbing was definitely developed with the "universality of use" doctrine in mind, and can be utilized for various purposes even including search and rescue due to the unique dimensions of the pouches, and the all-in-one design. Even though the hey-day of canvas kit has long past, these webbings still have their place in "the current year". Whether you're a first responder, a reenactor, or someone looking for a unique piece of kit to take to the range, this unique piece is right for you!